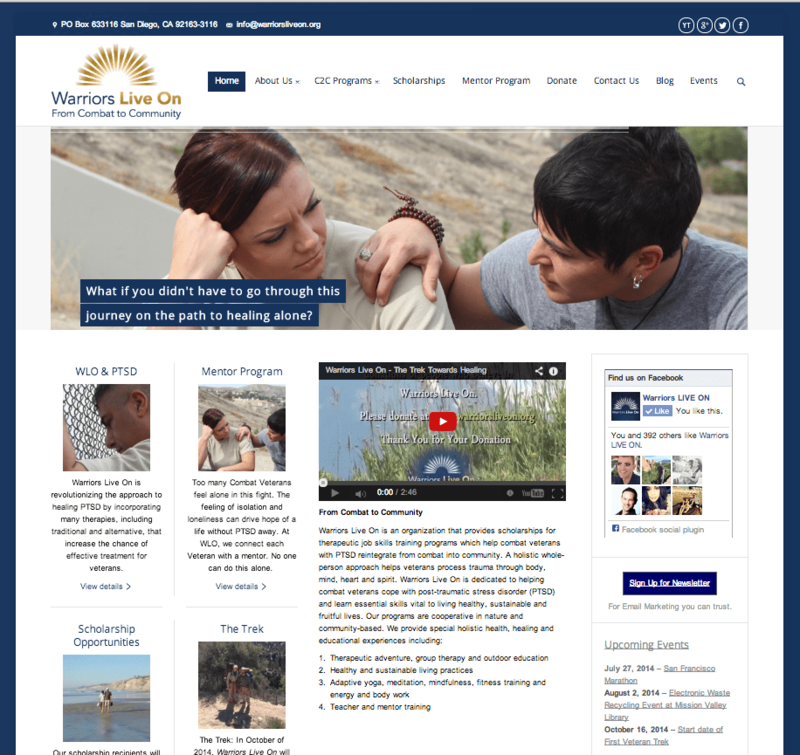 This is the new website I designed for Eva Balanger at Warriors Live On (WLO), a non-profit that helps veterans with PTSD. Christine Zito from Pure Media Marketing, assisted on some of the work of transitioning the old content to the new site. I worked with Eva to help create all the content for the site, and conceptualized the slider’s visual and written messaging. WLO had their own photo shoot with veteran models based on our collaborative goals for helping to connect with veterans in need. This new website will serve the new non-profit very well way into the future!